Veerappan movie is a biopic based on the real life incidents of forest bandit Veerappan and the operation Coccon, which was made to capture and kill him. Ram Gopal Varma not only directed the flick but also wrote the script for it with RD Tailang. Raina Sachin has produced it under the banner of Viking Media and Entertainment. The film story revolves around Koose Muniswamy Veerappan played by Sandeep Bhardwaj is a part of the family widely known for notorious poaching and sandalwood smuggling in Sathyamangalam Forest in Tamil Nadu state, Karnataka, and Kerala. While in teenage, he started assisting one of his relative who is already a part of several illegal activities. Veerappan continued committing crimes in the next few years. As per the official record, he was on the most wanted list as he had killed 184 people and the count included police officers too. Not only killing humans, but he was also infamous for killing about 200 elephants for the ivory smuggling of worth US$2,600,00. His crimes include smuggling of sandalwood of about 10,000 tonnes worth US$22,000,000 approximately. The film shows us how Tamil Nadu STF chief K Vijay Kumar IPS kills him with his attempt. It’s all the central part of the story. The most of the audience agreed to a point that the movie carries an impressive story which is fresh, as well as people, hasn’t seen in on-screen in the film industry. RGV has successfully made an engaging screenplay and has a bound to seat narration. These are some of the highlights of the movie. Sandeep and Usha have done justice to their roles. They are the biggest attraction of the flick. Joshi, Jadhav, Ray, and other supporting actors have very well played their roles. Their performances have proved to be one of the assets of Veerappan. The audience said that the film contains rich production values and brilliant picturization, and background score. They are the attractions on the technical front. Below are the reviews of Veerappan taken from the official Twitter handles. Chek the audience live response as well as the critics reviews right from the premiere shows. #Veerappan gives an insight into the life and times of the dreaded bandit. RGV is in good form. 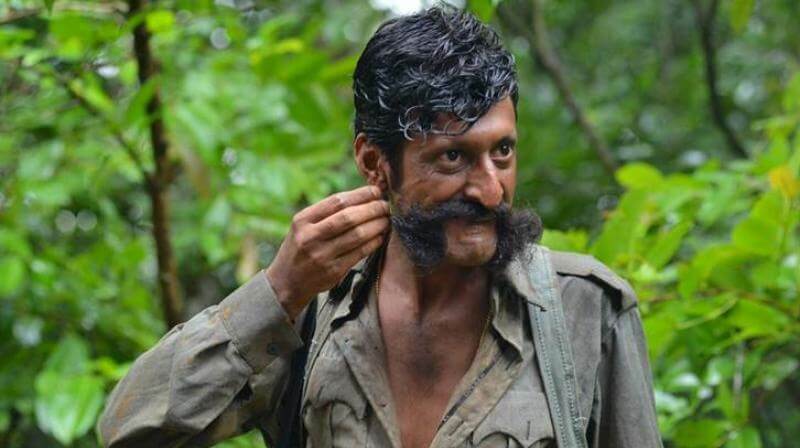 Sandeep Bhardwaj as Veerappan is superb. Reports are out n #Veerappan is a fantastic film. Every actor has done great job except Lisa Roy. So I will watch it today only.